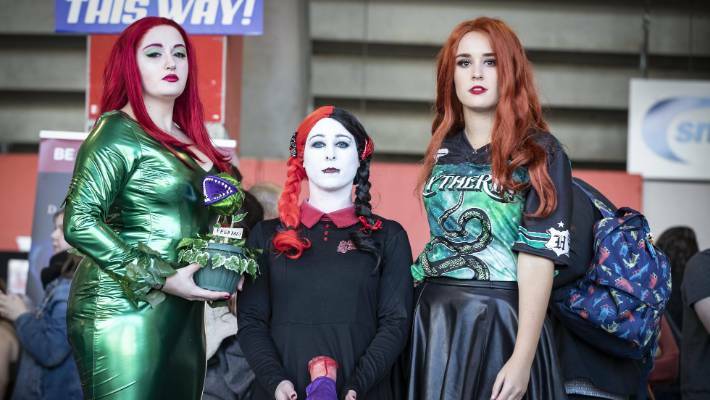 The weird and wonderful descended in a range of colours at Westpac Stadium on Saturday for the annual Armageddon convention. 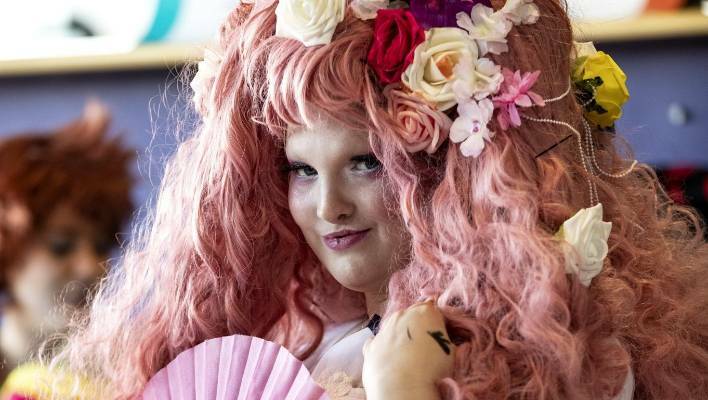 The three-day event celebrates all things sci-fi, with punters often turning up dressed as their favourite extra-celestial being or pop culture character. This year’s draw card was Hollywood celebrity Nicholas Hoult, who stars in the most recent X-Men movie Dark Phoenix. (L-R) Patrick Tierney, Melanie Burge, Joe Henshaw, Laura Jonston-Hunt, Jack Bannister-Sutton, and Thomas Auberson – all from Aro Valley, Wellington, dressed and ready for the convention. The convention hosts a range of events including hot dog eating contests, cosplay parades and panel discussions with movie stars. Cameron Lindsey travelled from Dunedin to attend the event. Dressed as a bounty hunter, he said he liked sparking up conversations with the different people who attended. “I like being the centre of attention and talking to people. Almost all of us are regulars, so we get to know each other. Elizabeth Gill dressed as Rose Quartz . Dean Connell from Auckland said the event celebrated people being themselves and expressing their interests. “It is about bringing something you love and sharing it with others,” he said. Armageddon spokeswoman Courtney Collins said on Saturday afternoon the event had got off to a great start. Lilly Haughey, Emily Zajkowski and Kelly Wills pictured at the event. Last year, the event had attracted over 22,000 people during the three days. This year organisers were expecting a similar crowd. “It has been a fantastic day. It has been really busy and we are glad the weather was beautiful,” she said. 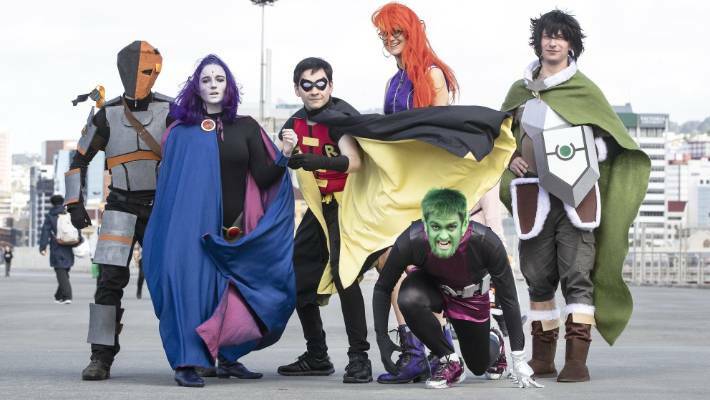 Rules around cosplay which resembled military attire were changed this year following the Christchurch terror attacks. Collins told Stuff last month this was to make everyone feel safe. “As a Christchurch based business and being Christchurch residents ourselves, this felt like an appropriate response to ensure the peace of mind of the general public, as well as our event attendees,” she said. 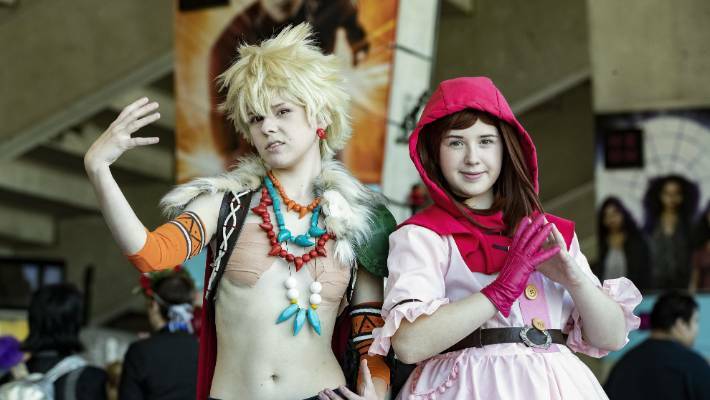 Max, from Wellington, dressed as cartoon character Bakugou, and Angela Grace as Uraraka. The event is set to take place in Auckland and Christchurch later this year. Celebrity Culture: Luminary has launched. Is the latest “Netflix for podcasts” worth it?